If you’re looking for a luxury sedan with all the right looks and all the right moves, then the 2017 Nissan Maxima elegantly fits the bill—and then some! 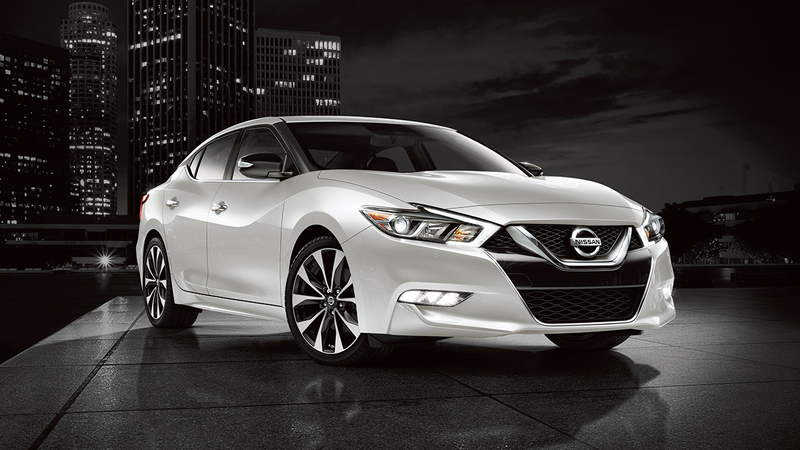 From the very latest amenities to its powerfully performing engine, the Maxima delivers the high-end goods consumers are looking for in the luxury market. Read on to learn more about this sophisticated, feature-rich car—then come into Jeffrey Nissan to take the jaw-dropping Maxima out for a test drive. We’re here to serve you near Clinton Township, Macomb, and Detroit! Among these models, drivers are sure to find the perfect combination of features and pricing to meet their needs and wants. 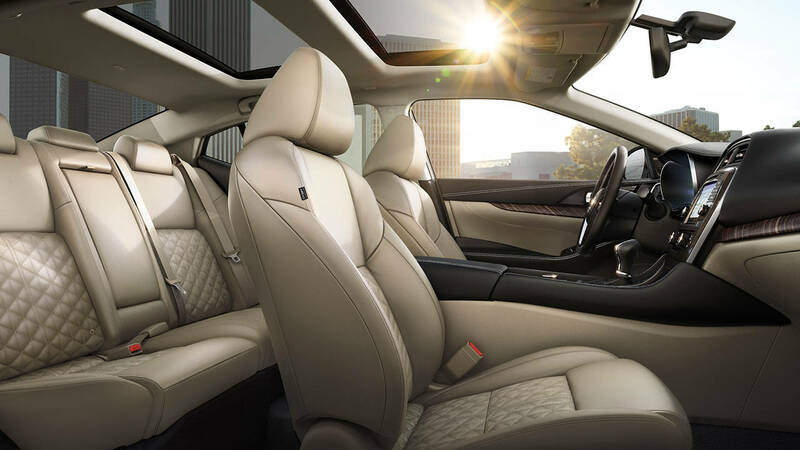 An elegant, flowing exterior adorned with sculpted lines, an available dual-panel moonroof, and a “floating roof” design is just the beginning of the head-turning attractiveness and opulence delivered by the Maxima. Supreme sophistication continues on the inside with luxury features that include available Ascot Leather-appointed seats with quilted Alcantara inserts and Zero Gravity front seats along with a host of the latest technology features, such as an available Around View Monitor with Moving Object Detection, a standard remote engine start system with Intelligent Climate Control, standard NissanConnect with navigation and Apple CarPlay, and much more. Whether you’re headed out to an important board meeting or just dropping the kids off at school, the Maxima exudes poise and confidence that fits in anywhere and impresses everywhere. 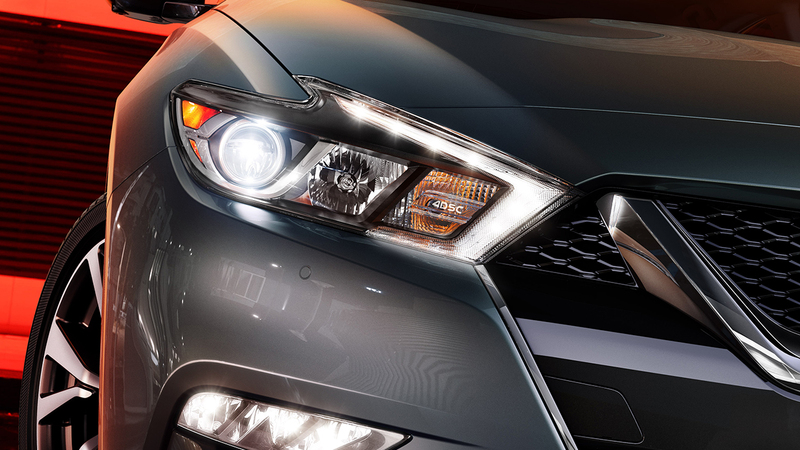 Just as impressive as the Maxima’s visible elegance is the action going on under its hood. 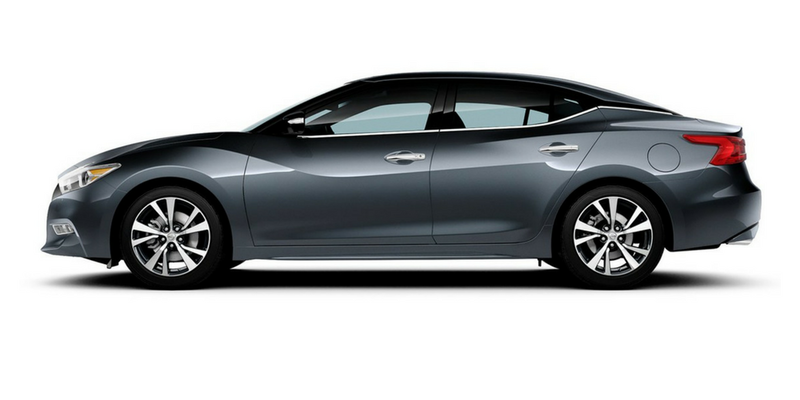 The Maxima models are each powered by a 3.5L DOHC 24-valve V6 engine that produces 300 hp and 261 lb-ft of torque. This powerhouse engine is paired with an Xtronic continuously variable transmission with Drive Mode Selector. The incredible Maxima is designed to travel fast, featuring a horsepower-to-weight ratio that exceeds many of its leading rivals, including the 2016 Chevy Impala, the 2016 Acura TLX, and the 2016 Toyota Avalon. The Maxima’s engine has only 11.6 pounds to pull per unit of horsepower, which adds up to considerably enhanced performance ability out on the road. 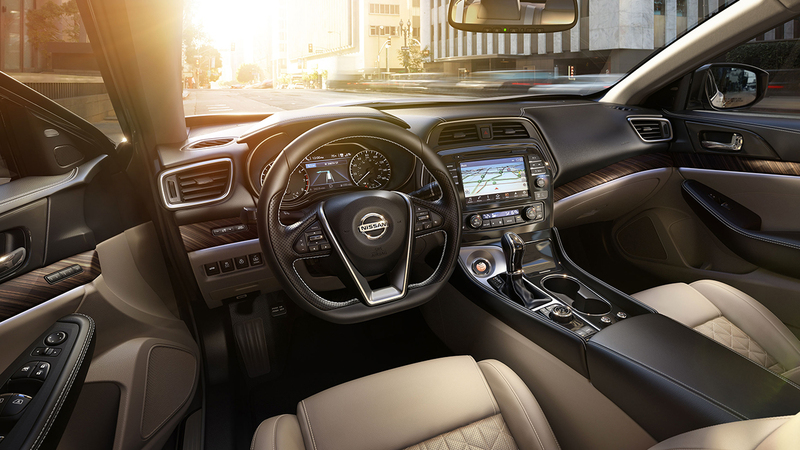 Onboard the Maxima, passengers will enjoy some of the very latest technological advancements, including relaxation-promoting safety features that will give drivers greater peace of mind behind the wheel. 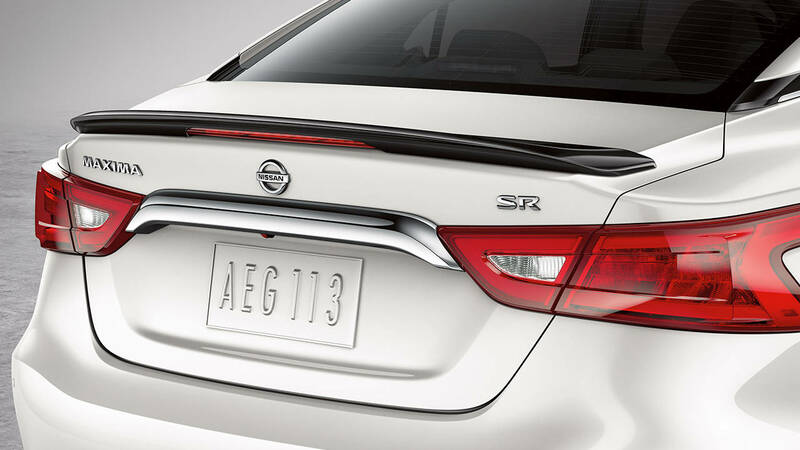 In addition to fundamental safety offerings like an advanced airbag system with passenger classification and rollover sensors, a tire pressure monitoring system with Easy-Fill Tire Alert, Zone Body construction with front and rear crumple zones, front seat belts with pretensioners, and load limiters, the Maxima offers even more. There is a standard Vehicle Dynamic Control with a Traction Control System, available Blind Spot Warning, available Rear Cross Traffic Alert, available Moving Object Detection, available Predictive Forward Collision Warning, and available Forward Emergency Braking. For its exceptional performance in crash tests, the 2017 Maxima has received a 5-Star Safety Rating from the National Highway Traffic Safety Administration—the highest safety rating the agency offers. The 2016 Maxima received a Top Safety Pick+ designation from the Insurance Institute for Highway Safety, and while the 2017 Maxima has not yet been tested by the IIHS, we wouldn’t be a bit surprised to see the Maxima receive top honors once again for the 2017 model year. Beyond the Maxima’s high-tech safety features, drivers and passengers will also enjoy a bevy of cutting-edge tech amenities that boost connectivity, comfort, and convenience onboard this gorgeous vehicle. Included among them are numerous premium features that come standard, including an Advanced Drive-Assist Display with a 7-inch color screen, an 8-inch multi-touch control color monitor, NissanConnect with navigation and Apple CarPlay, SiriusXM Traffic and Travel Link, a hands-free text messaging assistant, a multi-functional trip computer, a Bluetooth handsfree phone system, a HomeLink universal transceiver, an auto-dimming inside rearview mirror, and lots more. An available driver memory system recalls individual driver settings for the driver’s seat, including available seat heating and cooling, steering wheel preferences, and settings for the exterior mirrors. Available active noise cancellation helps keep out unwanted exterior sounds, so vehicle occupants can more fully enjoy the prime sound quality of the Maxima’s available 11-speaker Bose Premium Audio System with Bose Centerpoint 2 surround technology. The bottom line: When its luxury you’re looking for, it simply doesn’t get much better than the 2017 Nissan Maxima. Fourteen minutes from Clinton Township via South Gratiot Avenue. Twenty-eight minutes from Macomb via Romeo Plank Road. Twenty-three minutes Detroit via I-94 East. Stop in and see us, or contact us today to learn more about the Maxima and take it for a test drive!